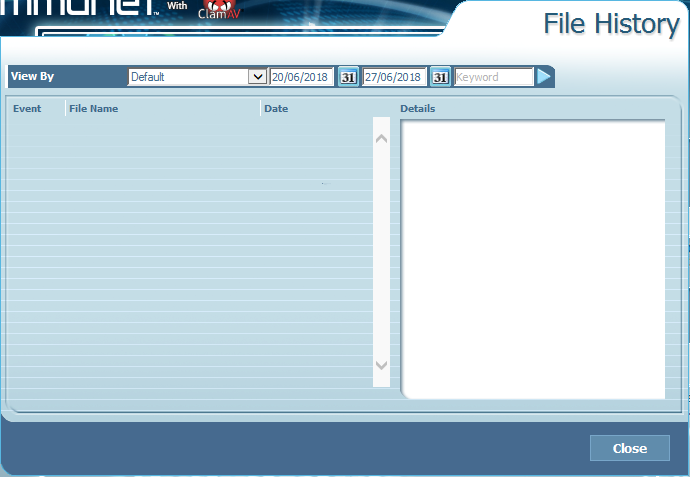 Files which have been quarantined aren't appearing in the file history list. The UI also doesn't seem to be saving settings. How does the UI interface with the Immunet service? Do you have the files set for removal ? Immunet seems to reset my configuration if a system crash occurs. At this time Quarantine Behaviour is set to Ask me for both Malicious and Suspicious files. I also only use the cloud detection engines, so the ClamAV engine is turned off. So, the system crashed? Do you see any errors in the logs or anything of that? Actually, change your "view by" to "Quarantined file history"
and see if they appear there instead. I notice you currently are sitting on "default"
I've changed the view to "Quarantined File History".